In the 1990’s I was making three school lunches and my children loved The Teenage Mutant Ninja Turtles series. Now that our grandson Beau is going to school I’m back to making school lunches and his favourite characters are the Ninja Turtles. It’s true…what goes around comes around. Beau loves school at Ponsonby Primary and every morning he helps me make his lunch to go into his Ninja Turtle lunch bag. The first Teenage Mutant Ninja Turtles cartoon series was made in 1987. To add variety to the daily lunch I’m once again baking on a regular basis. I’ve promised myself he won’t be getting packaged treats because home baking is chemical free. I also know just how much sugar, fat and salt has been included. Besides home baking tastes better and costs less. Our two favourites, funnily enough, are recipes from New Zealand cook Lois Daish. Wanaka Gingernuts with “The Nature of Wanaka” by local landscape photographer Gilbert van Reenan – a most suitable backdrop. Wanaka Gingernuts I discovered during a visit to our Broad Bay friends Frizz and Peter. Frizz told me her gingernuts were a Lois Daish recipe. One day she was planning on making a batch of gingernuts but discovered she had run out of plain flour. The only flour in the house was spelt, so spelt was used instead, and the resulting biscuits were superior. I decided to follow her recommendation because I wanted to recreate the same crunchy light biscuits she made. If you haven’t got spelt flour you can make them with plain flour too. Another positive of using spelt flour is that often gluten intolerant people can handle this ancient grain. I usually buy the wholemeal spelt over the white spelt. Spelt flour is double the price of ordinary flour so I tend to only use it for these biscuits and other special baking. Preheat the oven to 170 degrees Celsius or 160 if you have a fan oven. 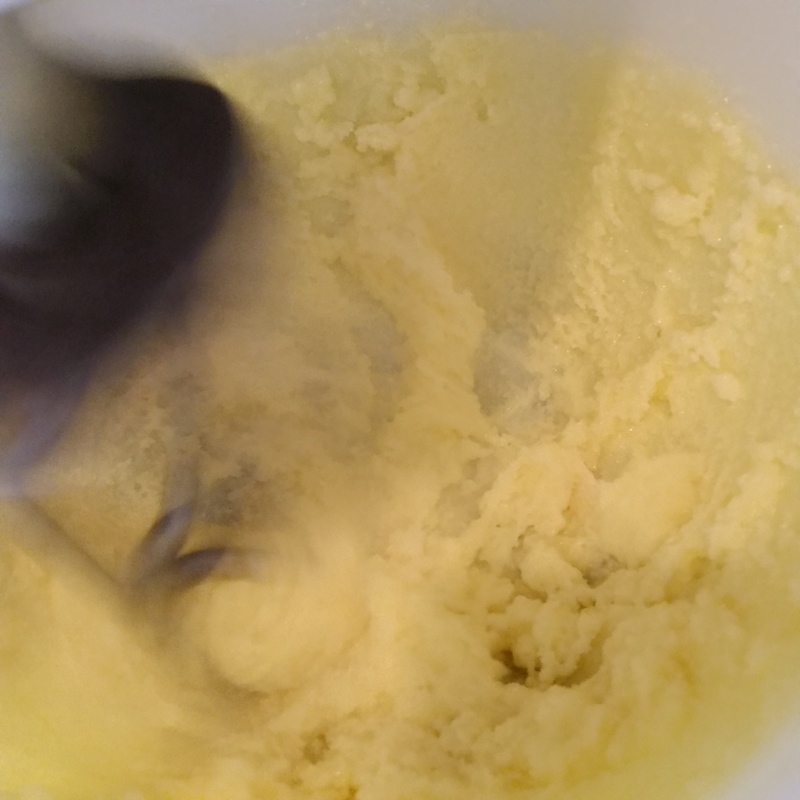 To cream butter and sugar is to beat until the colour lightens and the sugar grains melt into the butter. Cream butter and sugar until pale in colour. Beau likes to help so I make it mistake proof for him by cracking the egg into a glass first to add to the creamed butter and sugar. Add egg and beat again. 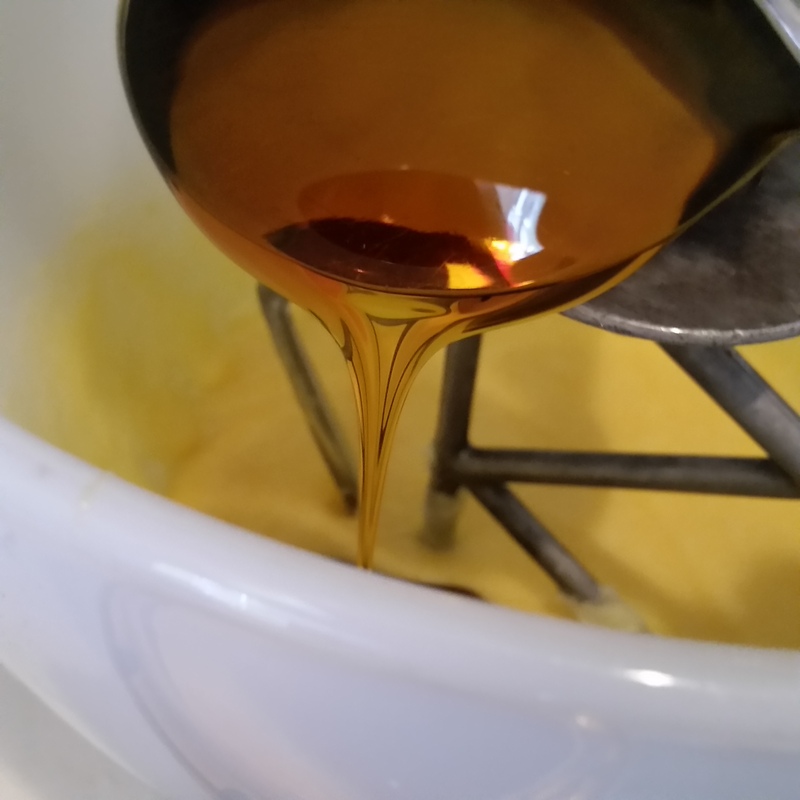 It helps if you run a tablespoon under the hot tap before spooning out the golden syrup ensuring that the syrup just slides off the spoon into the bowl. Put the dry ingredients together into a large bowl and sift. Spelt often clumps together as seen on bottom right of the picture. It’s a species of wheat arising from natural hybridisation which has taken place centuries ago. Spelt has high water solubility, so its nutrients are easily absorbed by the body. It’s used where a ‘lighter’ touch is preferred in baking. It gives a slightly sweet, nutty flavour to baked goods. 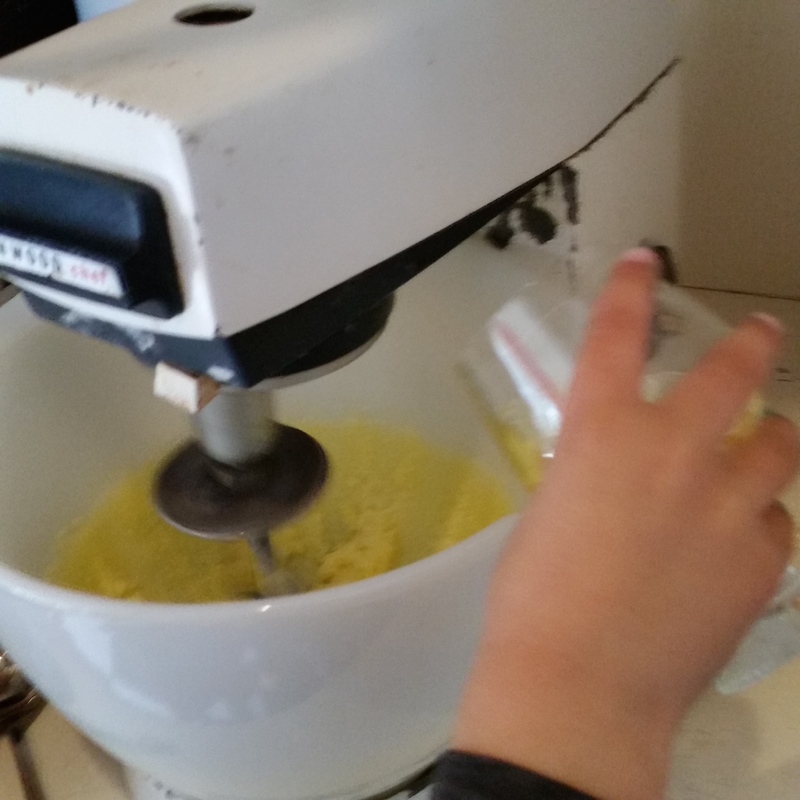 Add to the creamed mixture and mix to a soft dough in the cake mixer or by hand. Take out spoonfuls and loosely shape into balls, but do not flatten out. 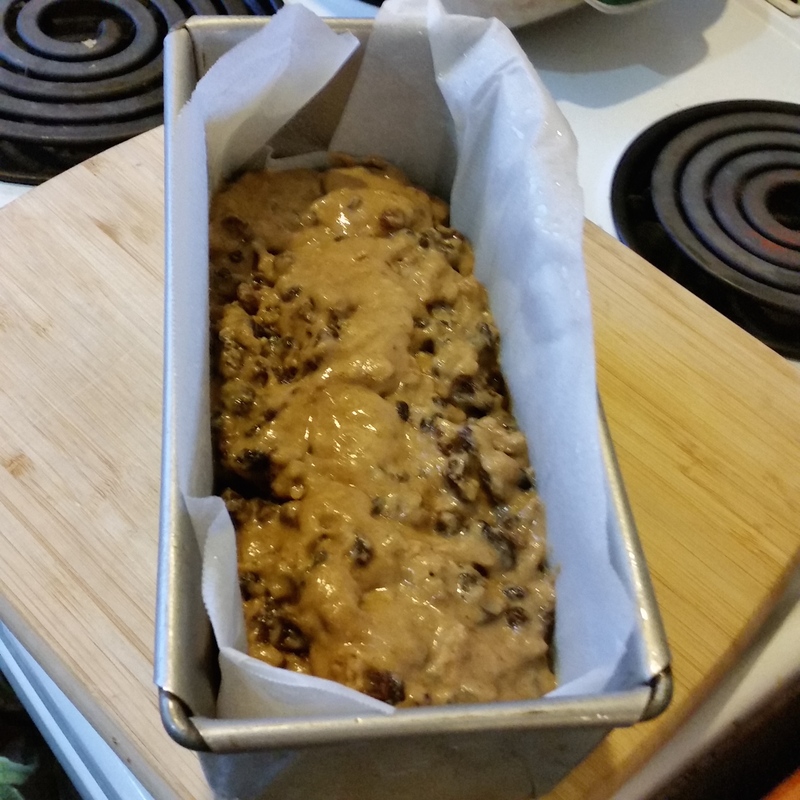 Leave space as they spread and you will need two oven trays lined with baking paper. 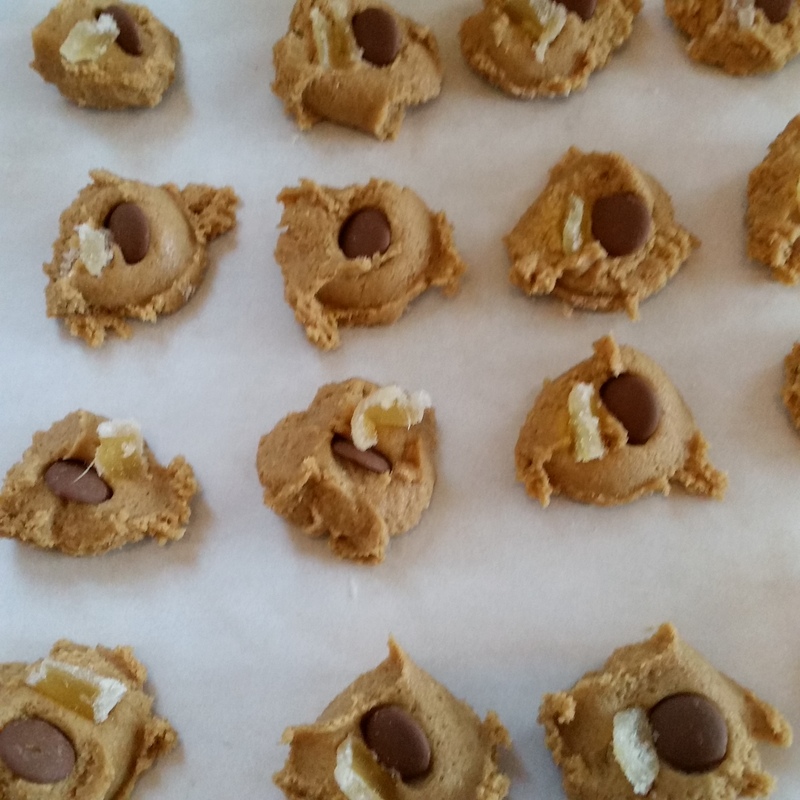 I sometimes add sliced pieces of crystallised ginger and if I have chocolate I also add that as ginger and chocolate is a great combination. 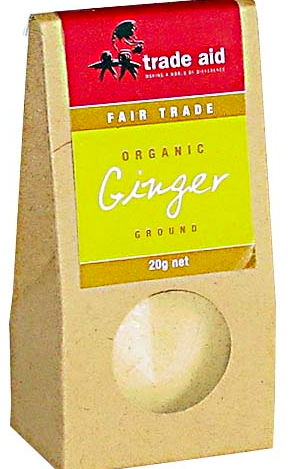 But these ginger nuts with 3-4 teaspoons of ginger are delicious just plain. I just pop into the local Trade Aid shop but you can also purchase their food products online. It’ll make all the difference to the biscuits if you use a really good ground ginger. I like to buy my ginger from the Trade Aid shop because it’s a win/win situation. The ginger is of a high quality and organic that will not only give a warming spicy taste of ginger to the biscuits but will guarantee the small scale farmers in Sri Lanka a better living. You can see how they spread and sometimes end up joining if I try to put too many on a tray. 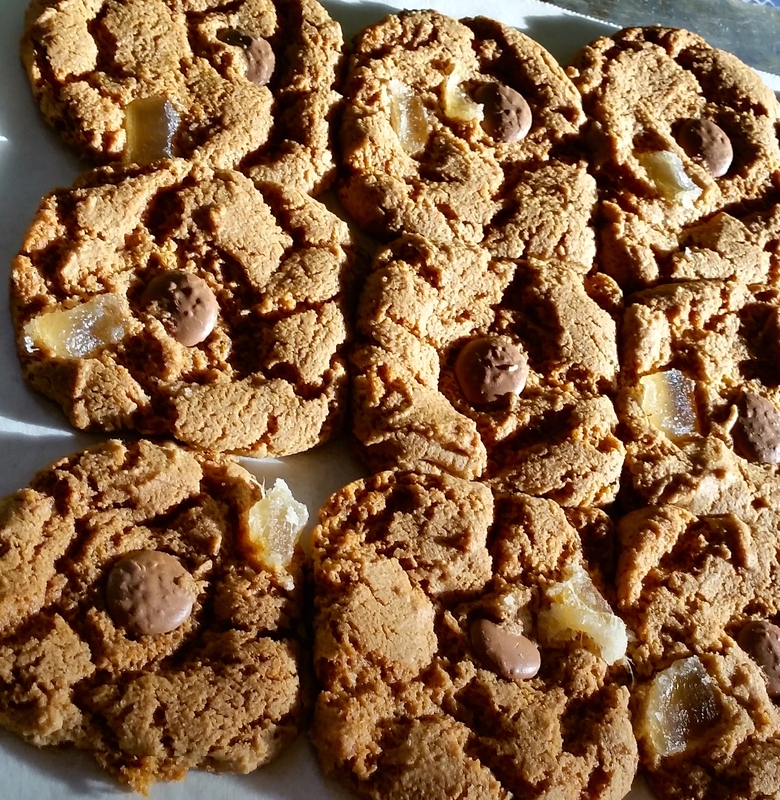 Here are the crystallised ginger and chocolate version – showing you they vary in finished appearance sometimes. When Frizzell made them they looked perfect. Mine seem to come out looking different each time but don’t worry about that, they taste the same. 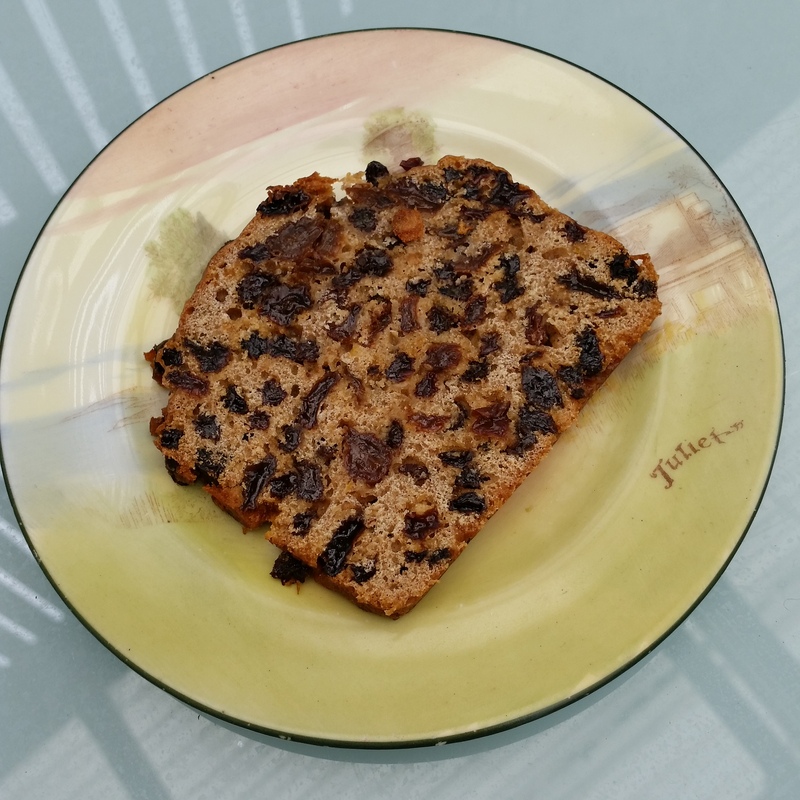 An even easier recipe is the Number 9 Fruit Loaf. This loaf used to be a daily offering at Lois Daish’s cafe “Number 9” in Wellington and I got the recipe from The Listener when Lois used to write a weekly column. I have since lost the recipe but I’ve made it enough times in the past to recreate it recently. 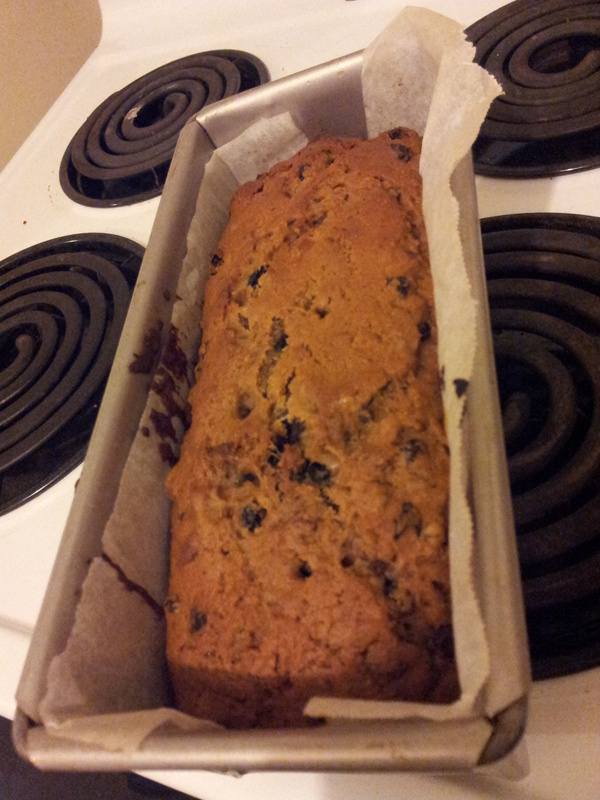 #9 Fruit Loaf from memory. Hopefully this recipe remains faithful to the original. If you have the original recipe, let me know if I have it wrong and I will amend. I like #9 because it doesn’t use butter or any other fat – it’s almost all dried fruit. The fruit I like to soak as long as possible, sometimes overnight to plump up the fruit. * The mixed fruit combination can be any mix of fruit you like. 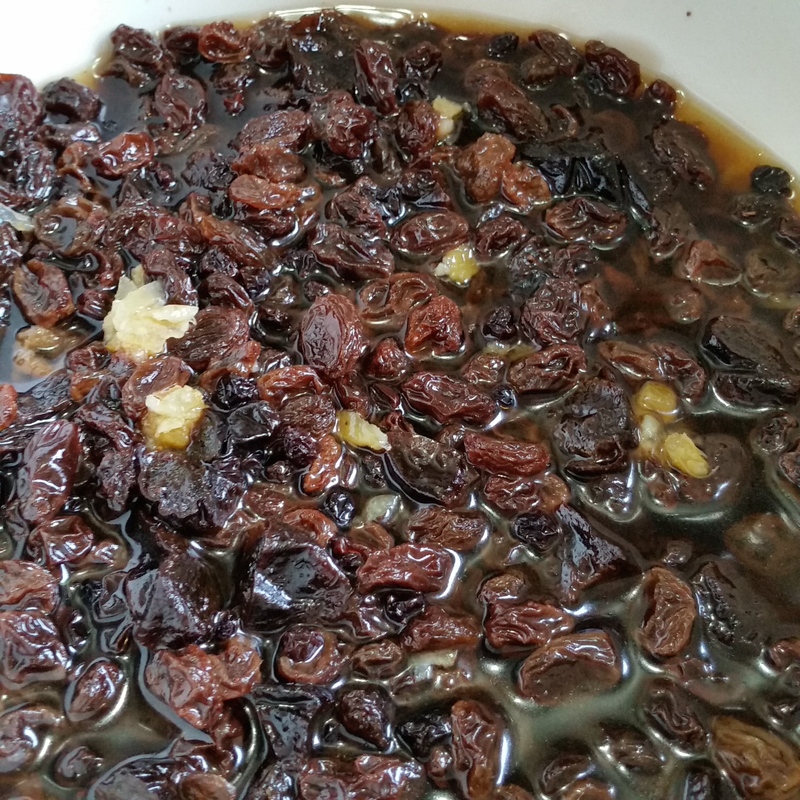 I usually like to have at least 100g of currants, add a couple of tablespoons of citrus peel and sometimes cut up crystallised ginger. 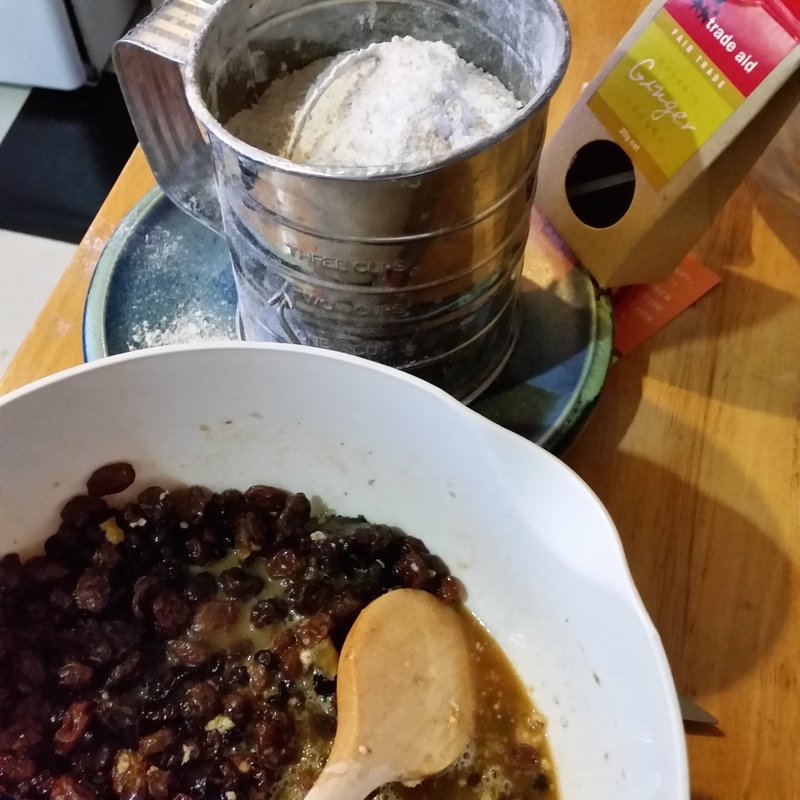 I usually use what I have in the pantry like dates and prunes but the standard is just a mix of currants, sultanas and raisins. 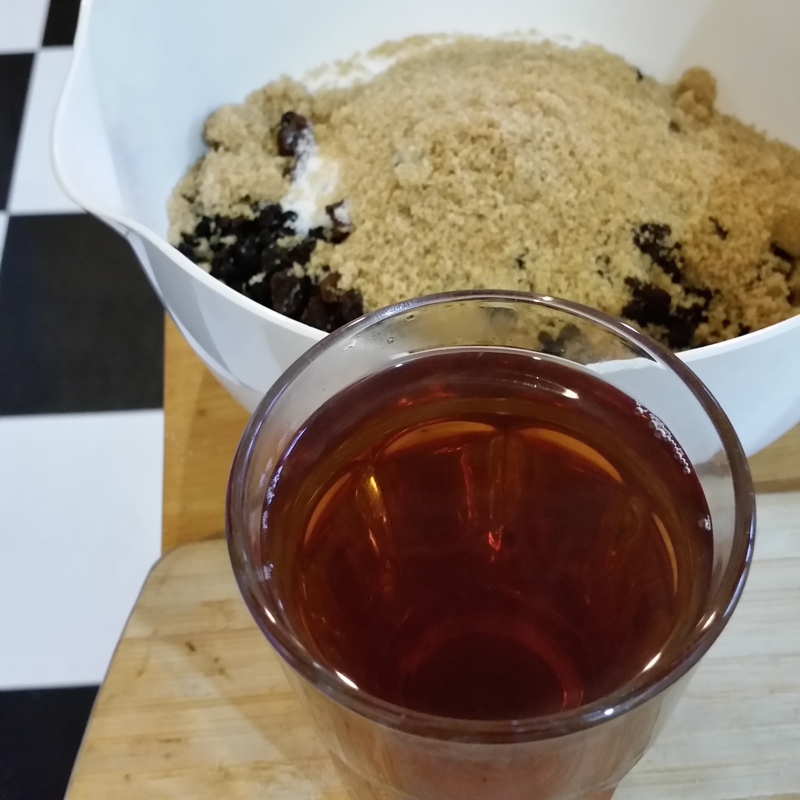 The original recipe uses Earl Grey tea which adds more perfumed flavour but I often don’t have Earl Grey tea available so I use standard black tea. Rooibos (Red Bush) tea would be interesting to try too. Let the fruit soak in the hot tea and the sugars for a minimum of 30 minutes, stirring to dissolve the sugar. A beaten egg is added to the fruit mix before adding the sifted dry ingredients. In a separate bowl put together the dry ingredients and sift to mix the flours with the spice and baking powder. 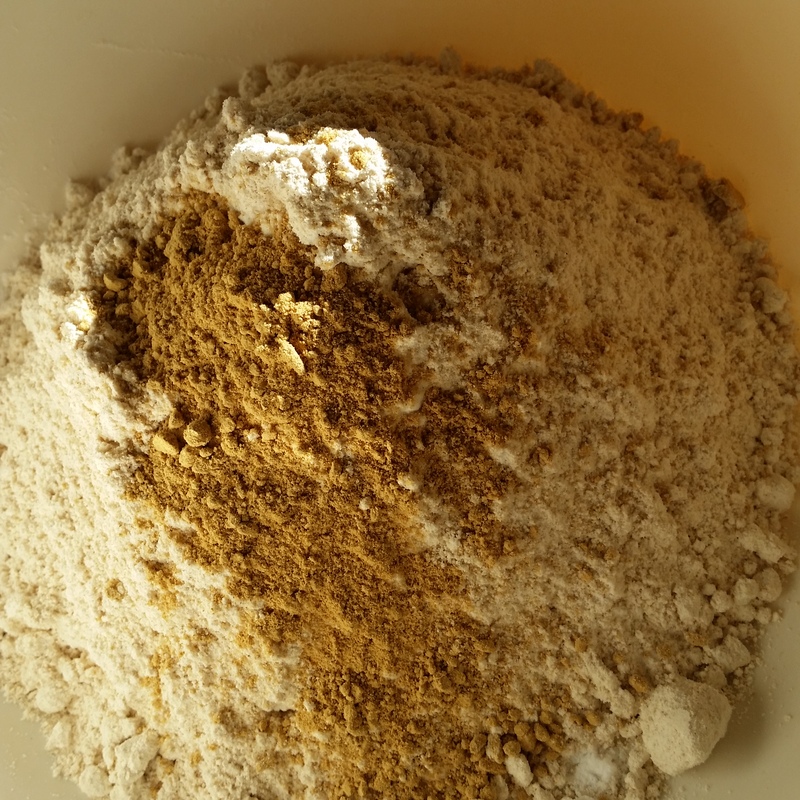 If there is any wholemeal flour left in the sifter or sieve make sure you add it back into the dry ingredients. Next beat an egg and add to the fruit mix. I find it’s easier to mix the dry into the wet rather than the wet into the dry. Finally mix in the dry ingredients. It’s best to mix in half the dry ingredients first and then add the remainder. A good heavy bread tin like this is a great kitchen investment. It can be used for baking and bread making. The heavy metal makes a good crust. Line a deep tin with baking paper, then spray with oil before adding the cake mix. I spoon some into each corner first to keep the paper at the ends in place. I bake it in an oven at around 160-170 degrees Celsius and it takes approximately an hour. In the last quarter hour you may need to cover the top with a piece of foil to keep the top from browning too much. It’s cooked once you smell it but it’s important to also test with a long fork or skewar. If it comes out cleanly take out of the oven, allow to cool, then simply lift it out of the pan by the paper and allow to completely cool on a wire rack. This loaf will keep for a week and as it gets older we slice it thin and spread with a little butter. It’s important to sift the flour to ensure an even mix of any raising agents and spices through the flour, but it’s also important to mix air through the flour as this action adds lightness to your baking. 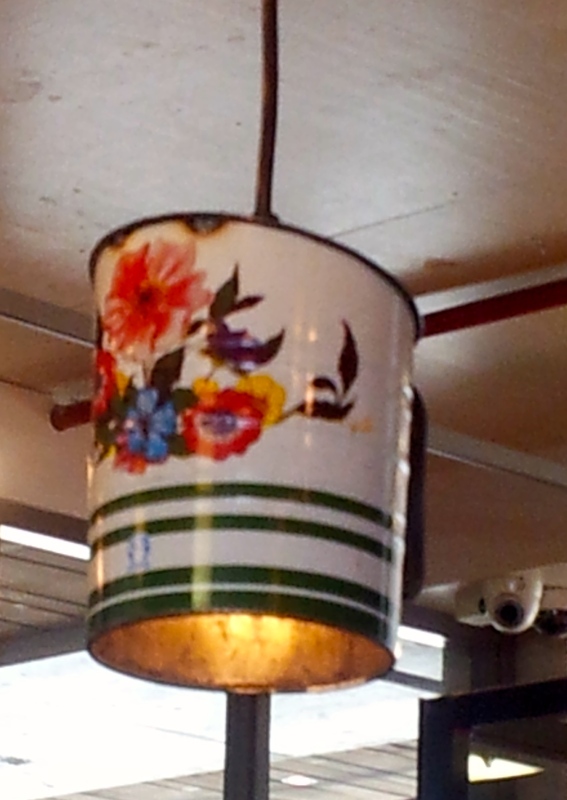 This vintage flour sifter is one of a light installation in Bread and Butter at Ponsonby Central. They have used various objects with a baking theme to create a lighting feature over the large shared eating table. You don’t need to have a sifter you can do this by fluffing the flour with an egg whisk or shake through a sieve, but it’s a step you shouldn’t be tempted to miss out. 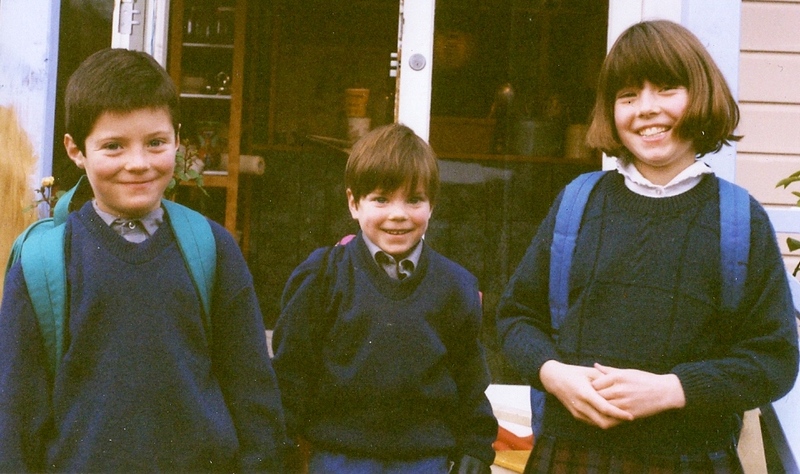 In 1992 our youngest son Francis 5 yrs (centre) started school at St Josephs Dunedin. Gus is 8 (left) and Tansy (Beau’s Mum) on the right and is 10. 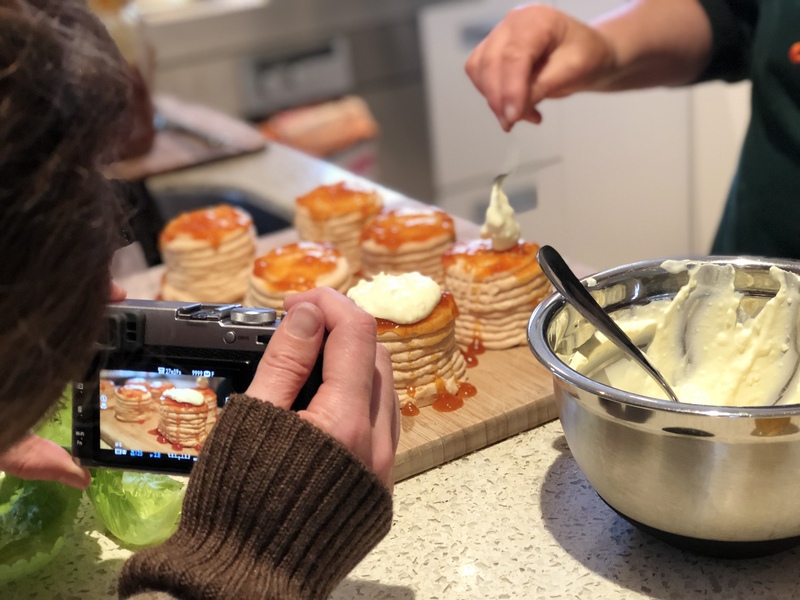 It’s amazing how time just flies by – it certainly doesn’t feel like 23 years since our youngest son Francis started school and I was baking for three school lunches. Well…I have to admit with a part time job and three kids I couldn’t always find the time to bake but it was always greatly appreciated when I did. 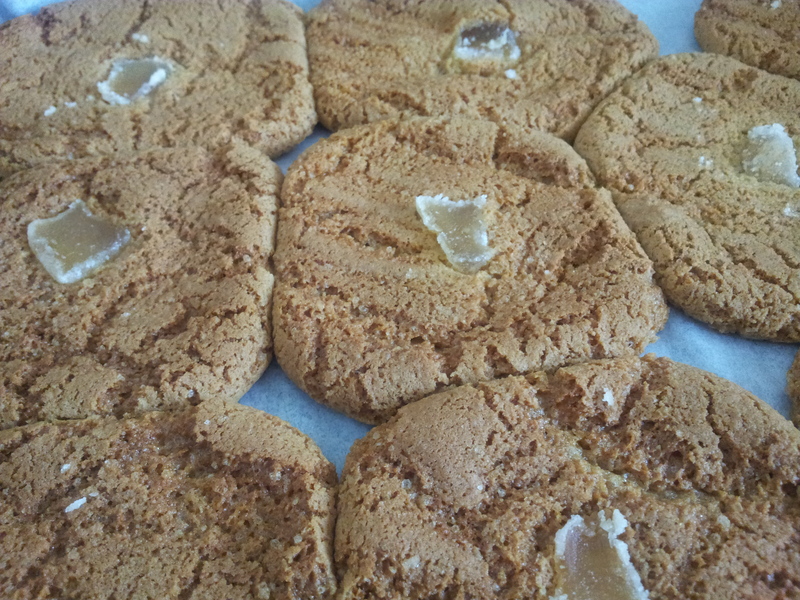 I just made the Wanaka gingernuts and they are amazing! These are the gingernut recipe I have been looking for. Had never tried spelt flour but will have to do some experimenting with it now. Thank you for the great recipe.